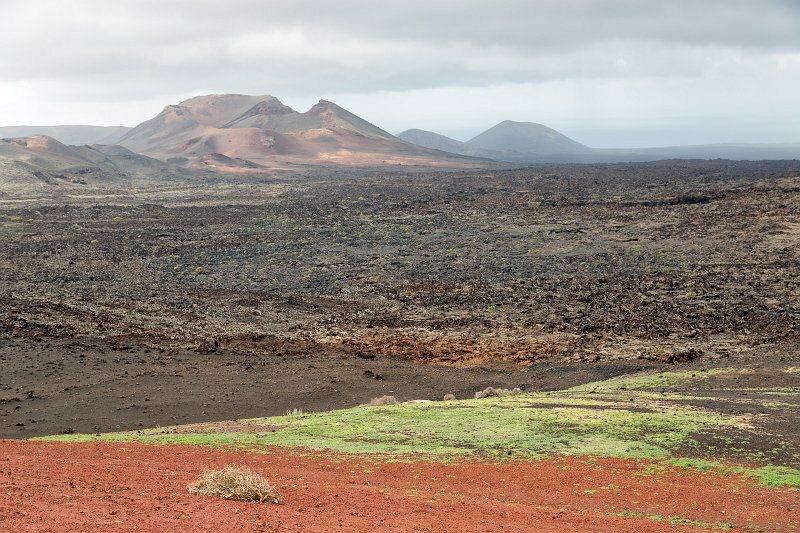 Timanfaya National Park is located in the southwestern part of the island of Lanzarote. It covers parts of the municipalities Tinajo and Yaiza. The area is 51.07 square km (19.72 sq mi). The parkland is entirely made up of volcanic soil. The Montañas del Fuego (Fire Mountains) were created between 1730 and 1736 when more than 100 volcanoes rose up and devastated this part of the island. The last eruptions were in 1824, however due to the low rainfall (and therefore lack of erosion) this area appears much the same as it did just after the eruptions.